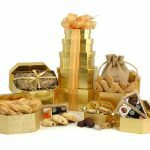 Mother’s Day is around the corner and we at Hampergifts would love to help you spoil your mum by giving you the chance to win one of our luxury hampers. If you think that your mum deserves to be spoilt this year we would love to hear from you! 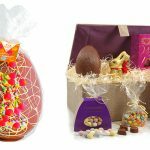 We are offering the Chocolate Heaven Hamper – perfect for chocoholic mums! The luxury chocolate contents include dark orange Belgian chocolates, Lindt mint chocolate and white chocolate drops. 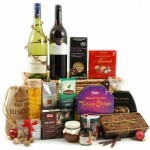 To see the full content of this hamper click here. To enter the competition all you need to do is tell us why your mum is such a star and why she would love the Chocolate Heaven Hamper by using the Rafflecopter widget below. Good Luck! If chocolate isn’t your mum’s cup of tea and she is more of a Champagne lover, then head over to our Facebook page where we are giving away the Champagne Breakfast Hamper to one lucky mum! Click here to shop our full range of Mother’s Day gift hampers. Closing date is midday on Friday 26th February 2016. Because I think she would love it! Because she’s my best friend in the whole wide world! We lost my mum a few years ago so I would give this to my nan. She’s been through so much over the last few years so really deserves a treat. I can count on her being there for me no matter what the circumstances, whether it be 3am or 3pm. It’d be nice to give her some chocolates to go with that cup of tea and listening ear. My mum should be spoiled this Mother’s day because I’ve recently moved out into my first house with my boyfriend and it would be a lovely gift for her to say thank you for being such a fantastic mum. She’s just had a major operation but is still trying to help me! Mums should be spoiled on mothers day. That even includes breakfast in bed. Because she is the best person in the world, who loves her children and grandchildren the same, and will go out of her way to take care of those who she loves and cares deeply for. She never asks for anything but we all like to spoil her at times like Mothers Day, birthdays even Christmas. …because she’s always there to help me out, to listen to me and to laugh with me! Because she helped me get divorced from an evil man! all mums should be spoiled – superheroes, every last one of them. mine is bonkers but deserving all the same. My should be spoilt because she always puts everyone first and she deserves to be treated like royalty for a change. My mum is a star because she can do anything. I have never seen anything stop her and she has inspired me to be the person I am today. I would not have the wonderful life I have today if she hadn’t of given me the best start to life. I am proud to call her my mum. After I had my own child I realised how much my mum has done for me. I would love to spoil her this mothers day with some tasty chocolate that she loves so much! Everyone’s Mum is special. Everybody believes their mum is the best mum in the world. This is true. My mum is the best in the world to me. From bringing me into the world, taking me to school when I was a child and taking care of my bumps and bruises; tending my war wounds, scrapes and cuts – kissing it all better and telling me things are going to be alright…all the way to now as an adult where she supports me with her advice, her encouragement but most of all her love. And this is what makes her special to me. She has a special place in my heart and always will do. My mum deserves this because she has helped me retile my whole bathroom walls and floor! She has shown that this girl CAN (when she has her mum to show her what to do!). She’s a DIY genius. Plus she loves chocolate! My mum is a mum in a million who has recently had to start from scratch helping my brother bring up his son after he suddenly became a single dad. She has put her life on hold for both of us at some time in our lives and as a mum now myself, for that I am truly grateful. My mum is my absolute hero. Recently retired, my mum has spent thirty years working as a home-care worker for sick, elderly and vulnerable people, enabling them to remain in their own homes and providing them with love, care and a friendly smile, even in the most difficult circumstances. In my opinion, home care workers are one of the most under-paid and under-valued professions. It is horrible to think that one day I might need a carer, but if I do, I sincerely hope it is someone as kind and gentle as my mum. My Mum gets through tonnes of chocolate every week-this would be her perfect gift! A perfect gift for a Mum so adored & sweet. For a special Mum who is simply the best! Because she’s always there for the whole family and is so selfless. She is just amazing!! She is the best Mum and Grandma – so much fun, so loving and so kind – she always shares her chocolates! All mothers should be spoilt including me and my daughter. My mum should be rewarded as she always puts her three kids and nine grandchildren before herself. She deserves a treat for herself for once. My mum is caring for a mentally ill family member who’s going through a rough patch, and it’s hard work. She really deserves a treat on mother’s day to tell her how amazing she is. because she is the person that gave me life, without her I would not exist. Both of my parents have been the best you could ever have. Because she gets up at 4.30 every day!! My mum should be spoiled this mothers day because I’ve been ill for over two months now and she’s been helping me out loads with all four of my kids. I couldn’t of managed without her! Because my mam means everything to me. I don’t know what I would do without her. She’s always there for me when I need her and would do anything for me. Because she is my mum. My mum should be spoiled with this hamper because she is an absolute legend – she is so kind, caring and selfless and never complains despite the fact she is my full time carer and has given up everything for me. She’s the most amazing woman, I am so grateful to her. She is also a self-confessed chocoholic so this would be very much appreciated! I don’t see my mum often so this would be great to let her know that she still means a lot to me! Because she deserves it. Short but true. Because she has alzheimers and is not long for this world. Each minute is found anew each minute so this will be a surprise to her for weeks’. It’s a rotten disease like mice nibbling at your brain at the minute it’s the frontal lobe so she is talking but incoherent. I have lost her. my mum passed away when i was 8 years old, leaving my dad to bring up 7 children on his own, he was and still is the perfect father, he went without so much to provide for the 7 of us and would still give us the world if he could, he remarried after the 7 of us was married and settled with families of our own and absolulty adores his 12 grandchildren and 11 great grandchildren. i would give this to him for being mum and dad to us all as he loves chocolate. Because she’s interested in all the details of my life! she is kind, generous and patient! She puts the rest of the family before herself – and with my family that’s deserving of this treat and more! My step mum needs to be spoiled as she puts up with my dad! I’m doing this for my 6yr old granddaughter who would love to give her nan a gift for mothers day. they are so close to each other that you need a crowbar to seperate them. My mum past away but I visit her resting place every year, she was the most loving, honest and kind person I ever mat and I miss her every day, she loved chocolate nearly as much as me. My mum’s great as she does all my ironing (and she’s 80 this year)! my mum died on mother’s day nearly 20 years ago. so its not my favourite day even though I’m a mum and a nana. because she is always spoiling everyone else and it would be nice for it to be her for a change! because she is amazing plain and simple, we live 12 hours drive apart so i cant just pop in to see her but i know she is always there for me. cause shes lovely and deserves a really lovely treat. My mum means the world to me, she is always there for me and I’d love to treat her to her a lovely chocolate hamper ’cause she’s my Super Mum! Just simply because she’s the best! My mum works hard and deserves a treat because she never treats herself! I have three boys and a husband to put up with! I need chocolate! I sadly lost my mum so I dedicate this to my mother in law. She is one in a million. Always there for everyone including me. Dotes on her grandchildren and is always smiling no matter what life throws at her. Because she has made an amazing recovery from heart surgery a couple of years ago, and she is now 86 and still going strong! Fabulous woman. Because she deserves the absolute best, for being the absolute best. My mum is selfless, she is always there for everyone, whether that be community or family. A rock to us all and an example to many. Her love surrounds us all and keeps us safe. When i was busy have my baby she did all my shopping!filled fridage freezer nappys clothes shampoo everything i will never forget she must of used ever pennt she had it lasted months! She raised my brother and I all on her lonesome and continues to take care of me even though we are far apart. …because she’s lovely and she’s mine. shes always constantly on the go, doing things for myself, my sister and now her grandkids. she deserves a treat for herself! Because she helps me non stop without complaint! Because she lovesss hampers and it a very special mum indeed she deserves this so much. Because she’s Supermum to me and all the family! Because she is wonderful, caring and always there for me! she made my wedding cake and five bridesmaids dresses!! Because she always puts me and my sisters first – and it would be lovely to treat her for a change! Plus she absolutely loves chocolate! My mum never complains, and is always there for anyone. She’s never got any money because she will invariably give her last pound to someone who needs it. She’s loving, kind and generous. My Mum should be spoiled because she does everything for everyone else. My mum is no longer around, but I’d love to win this for my daughter who became a mum 3 weeks ago. Because she puts up with all sorts throughout the year, without complaint, and deserves a special treat. Always a welcome and always something to eat! Because she keeps going even through illness and inspires all who know her. Because she tirelessly supports myself and my son who is disabled. you should try her coffee & walnut cake. something that’s right up her street. there she is MY MUM!! because she lives on her own abroad and I can’t get out there for Mothering Sunday so would love to be able to treat her to something like this instead. I’m expecting baby number 2 and my mum has been helping out whilst I decorate the house all over in preperation. her very depressed. She had to have a pacemaker now she is so low all the time. So please cheer her up. Thank you Mark King. My Mum should be spoilt everyday not just mothers day, she is so strong & our family would be lost without her. My mum is a community carer for the elderly so she works very hard to look after other people and it would be nice to look after her and spoil her with this surprise. Because she’s too modest about herself and her achievements, and I’d like to spoil her this year. What a lovely prize! Looks great. Mother would love this. My mum really deserves a chocolate hamper because whether it’s a shoulder to cry on, a word of advice or a really good laugh, she’s always there for me. she’s kind, caring, mindful of others, great advice giver, and the greatest of mums. The older you get the more you need spoiling – that’s why my Mum should win! All mums should be spoilt because they give up a lot for us! I would love to win for my Mum as she has become a very fussy eater as she has aged, but one thing you can guarantee she’ll eat is chocolate! If it wasn’t for chocolate I’m sure she would have wasted away completely by now! My Mum works hard as a Nurse and also cares for my Grandparents but is also more than willing to help me with my Children. So I think she more than deserves to be spoiled this Mother’s Day! Maybe ‘A Chocolate Hamper’ can answer the above? Because she is always there for us in our times of need. She is just so selfless when it comes to her family. Simply because she is the best! because shes the best there is! Because my mum is also my best friend, she has done so much for me and deserves the world! My mother in law deserves this because she has taken me in as a daughter and shown me such love I feel blessed to be her daughter in law. She deserves a treat she’s the best mum in the world. Because she bloody loves chocolate and would devour that hamper like it was easter! My wonderful Step Mum, she has been fantastic and I feel so very lucky to her. My Mum should be spoiled for just being my Mum. She works hard for the local community, babysits loads and makes great cakes so deserves a treat! What greater a gift could anyone give? My mum deserves everything and anything, after having breast cancer twice while i was little yet still bringing me up and being there to help me become the person I am now, I would give her everything in the world if I could. She’s not only my mum but my best friend and i love her more than anything. Always there in the background for help and guidance if required without recriminations! My mum is kind, caring, always remembers to buy my favourite ice cream & loves to dance with my 3 boys. 2 months ago it seemed that we’re gonna loose Mum…she was diagnosed with stomach cancer and needed an operation immediately. Miraculously she pulled through and recovered really well from such a complicated surgery. Since then, we’ve had two chemo therapy, and still a few to go, but her spirit and optimism giving hope to everyone in the family, and a lot of reasons to smile about! We’ve just celebrated her birthday this weekend, and it was such a joyful occasion! I just want to spoil her with her favourite thing- chocolatem because she so deserve it! My mum would absolutely adore this, she deserves a treat like this! 🙂 She does everything she possible can for me and everyone else and never treats herself, it’s time for her too! I’d like my fiance’s mother to win this hamper because at the moment I’m living far away from my own mom and she’s always looking out for me if I need anything…she’s a great woman! Because she is always there when I need her. My mum is always working hard to make sure we have everything we need! My mum, is my rock. She works full time as a teacher whilst supporting 5 daughters, and my dad. As a teacher, her focus is always on her students but, she still always manages to make time for all of us individually and maintain our home. Because she is so inspirational and loving and she doesn’t get to eat many chocolates because my father (her husband) is diabetic so she tries not to tempt him! she’s looked after our difficult Dad for years – and she’s 92 and ill herself! My mum should be spoiled this mothers day because she is always so busy spoiling everybody else. Now is her time! My mum should be spoiled as at nearly 70 years old she is amazing, walking dogs daily, cooking for the family and generally devoting her time, love and energy to others. Because she puts up with far too much stress the rest of the year. My mum is the best and I don’t tell her often enough how much I appreciate and love her – this would be ideal for her as chocolate is one of the few things she can enjoy – she is allergic to alchohol [no perfumes] doesn’t smoke, is gluten intolerant and has severe arthritis and doesn’t get out much. So thank you for the opportunity to win her some happiness. I haven’t got a mother, but i could happily eat it in her memory! She is kind & caring and helps me with everything! Because she makes the best cakes! My mum drops everything to come and help look after her grandchildren (300 miles away) when we are struggling – the hamper would be a great way of saying thank you. Because she is always there for me and is great company as well as a fantastic grandmother. My mum always looks after everyone. She cooks for all us kids and grandkids. She spoils us all and it would bet nice for her to be spoiled for a change. Because she deserves spoiling after a very bad year. Would love to win this for her as she is so deserving. Because she has always supported me and my other three siblings through everything and is constantly doing things for us although we do not live at home anymore. She is also a carer for my dad and is there even when life isn’t easy. She definitely deserves spoiling. 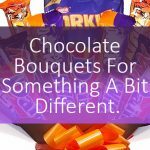 She’s a fab mum and has a serious chocolate addiction so this would be the perfect gift! She’s a real sweetie with a big sweet tooth!! because she deserves a lovely surprise for putting up with me for the last 50 years! My mum spends all year treating me so this would be a great gift and she loves mint chocolates. She should be spoiled because shes brilliant – but also because I know she’ll make that chocolate last for ages! She’s very good like that. She has been looking after my dad who is very ill and does it without a complaint even though she is not in the best of health herself so it would be lovely to treat her. My Mum has been through a lot in the last year, but she’s always been there when I’ve had lows as well. A special gift would make her day. It isnt my mum that deserves a treat but my sister (mother of 3) really could do with a special something! Well, she’s getting over a lot of stuff at the moment – so she deserves a treat! On behalf of our children……..this mum is just the most loving and supportive person in the world and we all love her dearly and hope her bad back gets better soon. Perhaps we could use chocolate as medicinal treatment. because all Mums need to be spoilt, they all deserve it after all they do for us, that’s for sure! I would give this gift to my daughter, as she has had her third baby just two months ago and needs a treat. Beacuse she lives very far and would never expect this to arrive by post! My sister Mary is my `Mum` now, she is pretty special and always smiling. Would be nice to spoil her. She’s no longer with me and is so missed. My daughters are mothers now, so we would share it in her memory. 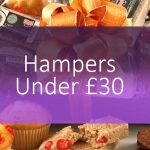 My mum always puts others first and is a very giving person, this hamper would make a lovely gift to thank her for being so generous over the years, she also likes good quality chocolate, so this would make her day. My mum has been a great source of strength and support to me over the last few years especially and this would make her day. A MUM ! ….. So many sacrifices. So little complaints. Sums it up perfectly. 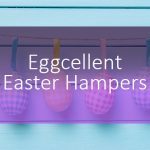 I’d love to pamper Mum with a hamper! She’s just been a fab mum to us all. And this would be lovely. My Mum is not only my Mum she’s also my friend. She’s always there when I need her including at the birth of my children. If I go to her for advice she doesn’t tell me what I want to hear she tells me what I need to hear. She’s a fantastic Nan to my children and she’s so special my daughters middle name is hers. Because she loves chocolate and we all help her eat it. She puts everyone before herself and deserves to be spoiled rotten! because I don’t show her enough what I really think of her. My mum should be spoiled because she has such a lot on her plate at the moment. She could do with some “me time”. My mummy is the bestest in the whole wide world because she gives me cuddles and buys me nice things. My mum has a real sweet tooth and so deserves a special treat. After many years of miscarriages and fertility treatment we were finally blessed with our daughter . And seeing my mum’s joy and love was beautiful. Throughout the painful and difficult journey, my mum was my rock. Each time I felt I couldn’t do it and was full of grief for our lost babies, she would hold me up and give me strength and belief. Her holding my daughter made me appreciate her even more as without her I wouldn’t have been able to do it. My mum has been on her own now for about one and a half years and yet she is still there for me and her two other children.A stunning gift like this would be magical for her. She taught me to enjoy the little things in life as they all add up to make the bigger picture, valuable advice for me and this would certainly be one of those moments to enjoy. She’s always rushing around doing things for everyone else, she deserves a treat for herself. She’s an absolute star & she just loves chocolate! My Mum’s been ill and is struggling to recover. I would love to win this and put a smile back on her face. Mum has always put me and my 5 sisters first, however old we now are! 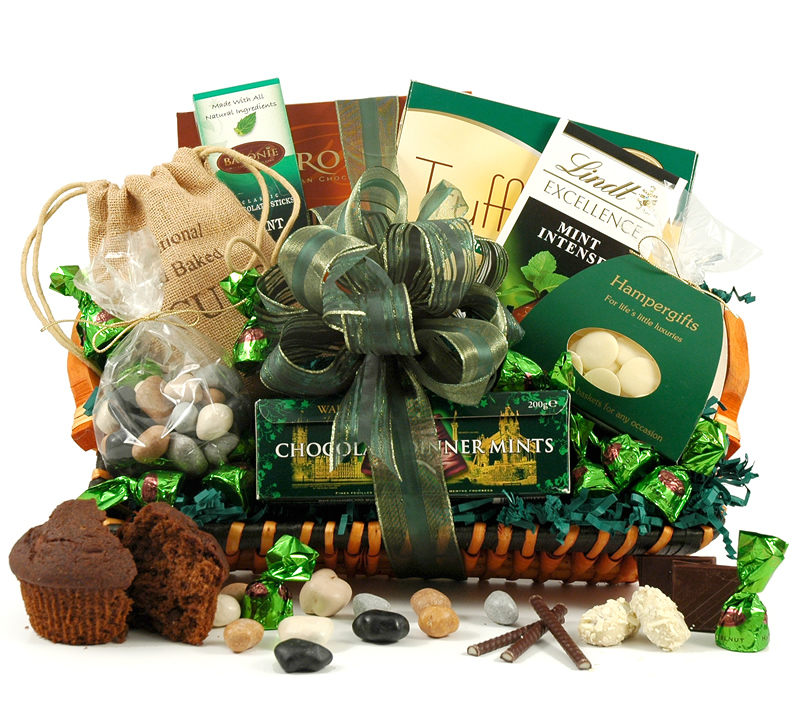 She is always there for us when we need a chat or a hug or a moan and this hamper would be a fantastic way to say thank you! I owe my life to my mum & gave up so much 4 me, she’s forever caring, never judging, always loving, just AMAZING! She’s been amazing at helping me move house this year! Because although it is a cliche, she deserves it. She’ll be, with my dad, renting out their house, quitting their jobs, and going backpacking round the world for a year (aged 60 & 61) – that’s so brave! As my mum adores chocolate and she’s given it up for Lent right now! This would be the perfect treat for her once Lent is over! She’s also amazing, always there and makes me smile everyday! She does so much for me and she needs something special so I can say thank you for everything she’s done. My Mum is a star because I’ve got some mental health conditions and no matter when I need her she’s always there for me, especially recently since I gave birth to my first child. She taught me how to be a Mum and she’s amazing. She would love to win the hamper because she loves chocolate and loves to share it with the family. My mam is fantastic, shes the heart of our family and never complains. She’s amazing and I couldn’t cope without her, she looks after my kids when I go to work and she even cooks my dinner so I don’t have to cook. My mum always works really hard to bring everyone together and spends ages preparing for our visits but never complains about all the extra work! I would love this for my Wife who is a terrific Mum and now Grandma, she deserves a lovely treat. Because she’s a bit down at the moment as she’s trying to move house and it keeps all falling through. Because she dare’s to take on my weekly wash!! She deserves to get this for being so lovely. She is always there for me and my sister and always has an entourage of grandchildren with her wherever she goes. She deserves it, she’s a hardworking loving mother, wife and Grandma! Plus I have lots of making up to do still left from my teenage years…lol. My old Mum should be spoiled as she had a heart valve replacement operation in December, the first time she has ever been in hospital as a patient! She was recovering well, but then fainted after a shower and cracked some ribs! She has been recovering well from that, but has now learned she needs another heart valve replacing!!! Never rains, but it pours…..
Because she spends the rest of the year spooling everyone else. My stepmum deserves to be spoilt this Mothers Day as she is a lovely person, who is kind and caring and treats me as her own. Because she is very special, a great support and always there for us. Because she has done so much for me and my family, I would love to be able to treat her just to say thank you. Because she cooks me dinner every Sunday and I need to say thank you. Because she’s kind, caring, completely selfless and everything I aspire to be! My mum has devoted her life to looking after her children and grandchildren and I think it’s her turn to be spoiled now. She would be so thrilled with one of your lovely hampers. My mum is so special in every way. Because she spoils everyone else, and always forgets about herself, she sometimes forgets her age when running around after people, so as my mum, is a mum in a million she deserves an extra special treat. because she is always there to turn to when I need some motherly advice. My mum is amazing, always thinks of everyone else and could do with a treat for herself. She gave up her job as a special needs teacher to become a full time carer for my grandmother, but still always finds time for me- I think she’s incredible! As my own mum is lactose-intolerant (like me), I would nominate my mother-in-law, who has worked hard for voluntary agencies for her whole adult life despite having polio. My mum-in-law is one of those people that tries to see the best in everyone, to help wherever she can, to make time for people, and to act as an advocate for other disabled people fighting for their rights. A chocolate hamper would be a lovely way to say we love her and to acknowledge her tireless dedication to several charities/ fingers crossed. because shes inspirational and a fantastic person. Because she’s watching my kids so my husband and I can have an archery day! All mother’s deserve to be spoilt with chocolate on Mother’s day! My Mum is a chocolate lover. She enjoys chocolate, whilst she also enjoys sharing chocolate with family and friends. Most with a cup of tea and a chat. My Mum has been a Mum to her family, and accepted our friends as part of the larger family. Many feel at home with her as she is Delightful, always considering others. It would be nice for her to get this treat, as it would be such a surprise. Bringing a cheerful smile to her face, for us all to see and enjoy. My mum is gone but my daughter is a fabulous mum to my grandchildren. A brilliant cook, great sports enthusiast and wonderfully supportive daughter to me during my recent mastectomy and chemotherapy. Most of all she makes her children happy which os a great achievement these days. She’s always been there for me, always patient and kind and nothing is too much trouble. Now, she’s doing it all again for her grandchildren. My mum-in-law spoils us every weekend with coffee and cakes, so it would be nice to spoil her for a change. Because my mum us a star and deserves something nice! she deserves it as a reward for her endless love and consideration of others and for putting everyone else`s needs in front of her own. My Mum did a wonderful job bringing up my sister and myself in difficult circumstances, I love her so much and she just loves chocolates although she is always telling us that she really shouldn’t have them as she is getting a bit plump. cos she hardly ever says i told you so and she gives the best hugs !! 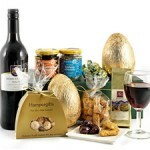 Why should your mum be spoiled this Mother’s Day with a chocolate hamper? She’s had a VERY stressful time after separating with my dad, selling the house and now moving, whilst having to deal with her mental and physical illnesses. It seems that she can’t get a break, and I know what she really wants for mother’s day is for me to come home, but I can’t as I’m away and this would cheer her up just a bit! Just for being my mum! My mum deserves to be spoiled as she always puts everyone else first! Even to the point, as we can’t afford a house the size we really need for our family, we have bought a smaller property, which she is downsizing into, letting us live in her 4 bed house! My mum should be spoiled with this hamper because she has helped us out recently when our car broke down and we had flu by ferrying our children to school and back and buying us food supplies. She is a lovely 86 year old woman who’s brought up 9 of us. Because she has made a big decision being single and aged 70, to sell up in the UK and move alone to Spain! My mum (mother in law) deserves to win as she is always there when i need help. Because she spends the rest of the year spoiling us. because she’s the best mum anyone could ask for and doesn’t often have many treats for herself! My mum works so hard every day in work. Shes a midwife and never gets the chance to relax and treat herself. However she always has time for us. She would love this prize! because no matter what she always makes time for me. she is 60 this year so she deserved to be spoiled! as she never treats herself! because shes lovely and the best babysitter ever! My mother in law is always there for me and has become the mum I never had. She works really hard to look after our family and when my depression is making it hard for me to cope she helps to look after our children and does what she can to pick me up. Since November she has spent almost every day looking after her poorly mum and has hardly any time to herself. She really deserves a great gift like this. My mum has four daughters, two of whom still live with her in their 30’s – She hasnt had time to stop being a mum. She needs a special treat and a break. Because she spends so much time helping other people with their problems and looking after them and she is so good at looking after her own mum who needs lots of extra care now she’s nearly 90! She is always there for me and does so much for others. She never complains about working 7 days a week either. She deserves a treat. She always supports the whole family and is a lot of fun to be with. My mum is amazing, she’s had so much to deal with over the years, and has come out of the other end smiling. Retirement is suiting her – she’s never been so busy, her social life is better than mine!! My mum is 84 so every surprise would be a delight. Just because she is my mum. The best. Always happy to help. Because She hasn’t been spoiled for a long long time. I have 3 boys (4, 5 and 6), the youngest is autistic. Without my mum I do not think I would of coped. Everyday she helps me! Everyday! She doesn’t ever moan. She has put her life on hold for us and my boys. I could never thank her enough. my mum is amazing. she is a brilliant nanny to my 3 boys and is always doing big family get tpgethers. normally between 20-25 of us that she cooks for, organises games and parties. she has just moved into a new bungalow with my stepdad and hasn’t reaslly stopped between working and trying to fix up the new home. She’s not only the most supportive, funny and loving mum I could ever hope for- but this past year she’s proved she’s the most patient and caring granny to my little one, too! My mother should be spoiled because she is always helping others and is too generous for her own good. Babysitting nieces, doing the school run in all weathers, shopping for frail friends and running errands for her son. It often seems one-sided so I would love her to be treated, to remind her how appeciated she is. Fantastic person, there for me – would love a taste of luxury! She is the best and does lots for me! She should be spoiled because she never is! I don’t see my mum as often as I should, or tell her just how great she is! She sacrificed so much for me over the years, she deserves far more! My Mum is almost 90 years old, housebound and very frail. Her hands are arthritic so she can’t knit any more, her eyesight is too poor to read for long and she won’t wear her hearing aids so she can’t hear the TV. Really, the only pleasure left in her life is chocolate! My mam deserves to be spoiled as she has is the best mam in the world through my eyes! My Mum is such a great source of help and support – and she LOVES chocolate. my Mum is such a great example to younger people, she is a great grandma who runs her own business, does historical re-enacting,is in a rock band and just loves to live life to it’s fullest. Because she has put up with me for 43 years and that’s some achievement. She is a very special person in my life and really need to treat her. She would love your hamper and hopefully share a little with me.